You hit the gym week after week. You do the same exercises day after day. You stay in great shape, but sometimes, you just get bored. If the same monotonous workout routine has you feeling like a robot, it might be time to switch things up. Add variety to your workouts to boost motivation and combat boredom. 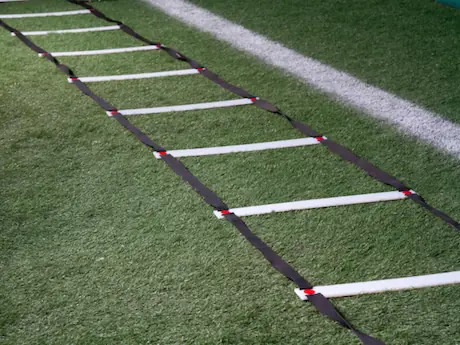 Most people hear "agility training" and think it's just for professional athletes. That couldn't be further from the truth. Agility work is a fun way to shake up your workout. What are we talking about exactly? One definition of agility is "the ability to move, change direction, and position the body effectively while under control." Doug Balzarini, CSCS, MMA-CC, is a fitness professional and the founder of DB Strength in San Diego. He is also the head strength and conditioning coach for Alliance Training Center where he works with many top professional MMA athletes. Visit www.dbstrength.com for more information.